2. The battery should be fully charged before storage. 3. 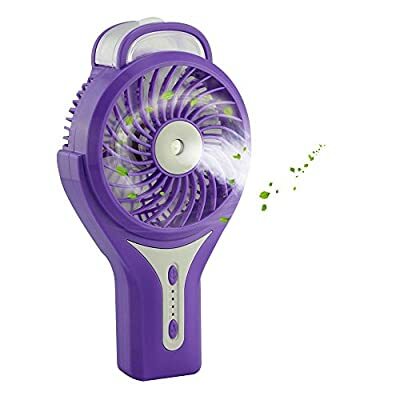 Don't put anything into the fan when it is working. 4. Please use USB/DC 5V power for charging. The item has been well tested, examined and packaged by Welltop before sending off. If there is any problem, welcome to contact us, we would provide the best service for you. 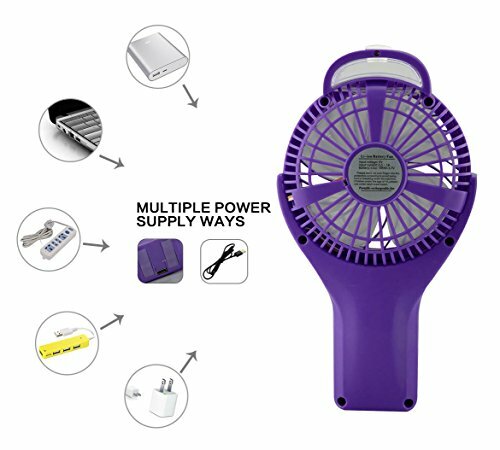 Handheld portable fan, light-weight and handle design, convenient to carry with. 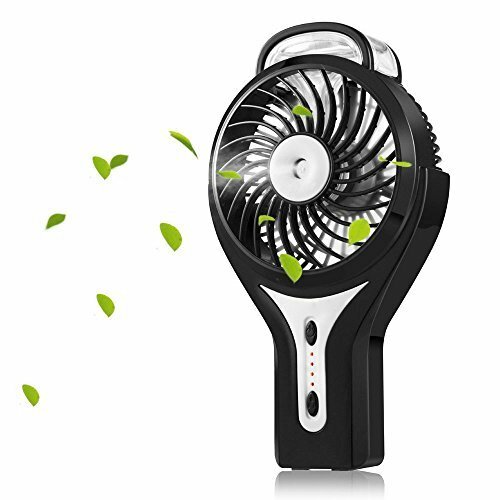 Functional personal fan, rechargeable USB mini cooling fan and beauty humidifier 2 in 1. 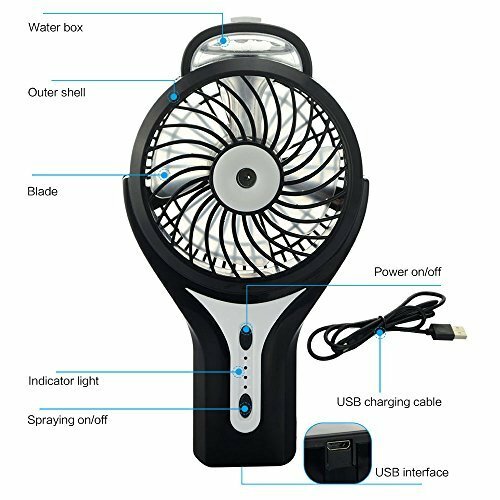 Rechargeable battery fan with adjustable 3 speed wind and 2 modes of spraying. 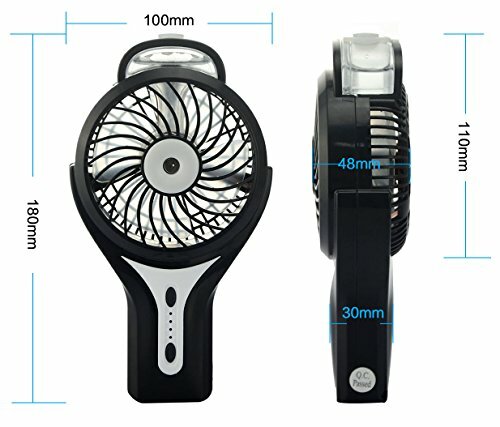 Mini Handheld Fan + Humidifier + Beauty + Air Condition + Spary, Face & Skin Need Moist and Refreshing. This small fan helps we often keep the face or skin moist and refreshing at office, bedroom or travel and outdoor.